Global data center colocation users have spoken and the numbers are in. As the colocation market continues to grow, users continue to look for applicable tools that allow them to implement an integrated data center management strategy. Enter DCIM. Driven by the need to increase cost savings and speed to market and reduce capital expenditures, power, cooling and total cost of ownership (TCO), colocation customers are reevaluating DCIM tools to address the issues in their data center facility infrastructures. 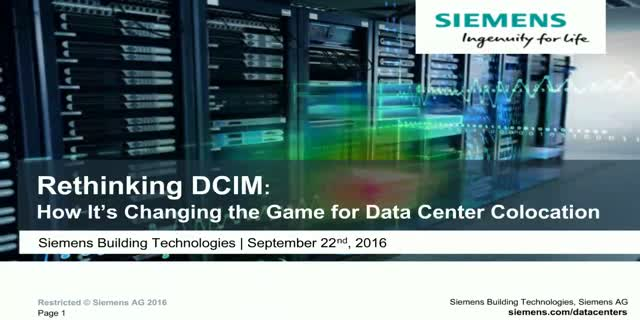 Attend this Webinar and learn how a shift in DCIM adoption for data center colocation is going to change the market, what this means for your daily operation, and the steps you can take to incorporate DCIM into your data center infrastructure management strategy.